I’ve been blessed to get the opportunity to build a truly unique model, the customized BJ45 Troopy belonging to Coen and Karin-Marijke of www.landcruising.nl. 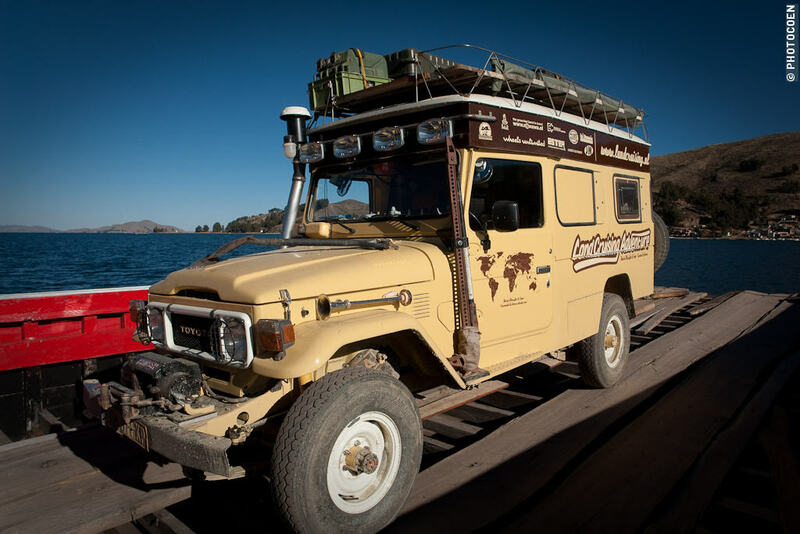 They’ve been traveling the planet since 2003 in this wonderful specimen of a truck, and while they do repairs from time to time, I hear it’s held up admirably. They are currently in a little country called Suriname at the top of South America. This particular model is based on my Classic Toyota Troopy Cruiser model, but has an extended roof and some other modifications. The accessories are many – with things like a large air horn on the left fender (probably for blasting herds of animals off the dirt roads), A very large hi-lift jack mounted on the left step, a bank of 4 very large offroad lights, solar panels, a rooftop-tent by Eezi-Awn in South Africa, and more. I’m laying this model out on letter sheets, which are the most common here in the states, the number of extra parts and pieces cause me to move up to two pages. The size is small – at the lower limit of what I believe most 4×4 and Land Cruiser enthusiasts will build; but as with all PDF models, fans of this truck can simply print out another copy if they make a big mistake. Modelling in paper is quite forgiving. I’m pretty sure Coen will be offering this model for free on his website. 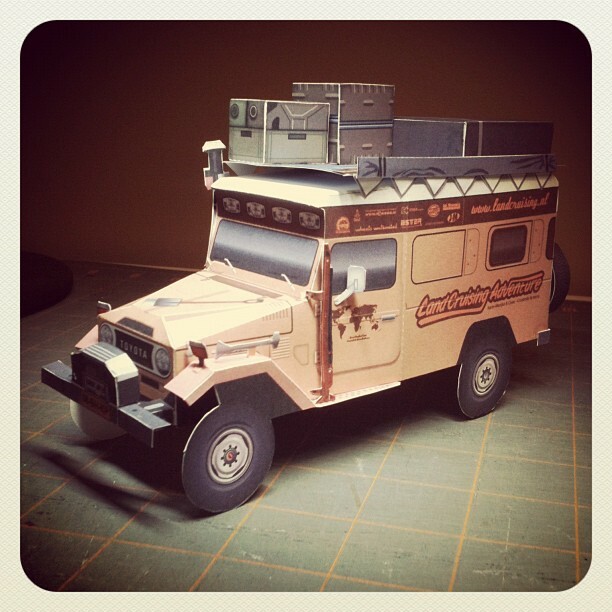 So stay tuned, and get your model of this great Land Cruiser when I’m done! Until next time, please visit me on Facebook and follow me on Twitter.